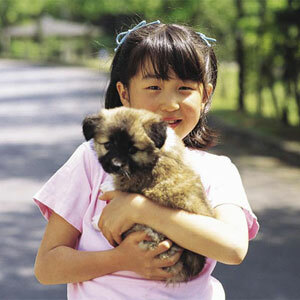 In therapeutic and educational settings, pets (especially dogs) are decisively a positive and helpful influence. They relieve anger and depression, they are fun and engaging, and they are marvelous catalysts at helping people break through when they are stuck. They inspire them to WANT to participate in their vital therapies, and to have fun while doing so. Here’s how dogs help children with reading disabilities. realisation of how interaction with animals could benefit people in therapeutic settings. Their dogs happened to be a German Shepherd, a Doberman and a Rottweiler breeds which are often frightening to some people. This was proof that ANY breed can be a therapy dog if they have the right temperament, a great relationship with their owners, and excellent skills. Founders of R.E.A.D. 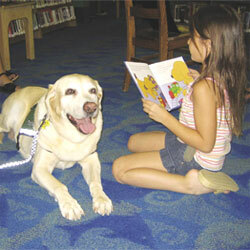 (Reading Education Assistance Dogs), they have helped many kids with reading disabilities. “R.E.A.D. was the inspiration of one of our board members – Sandi Martin who wanted to figure out a way to combine her greatest loves – dogs and books. She was a nurse and had seen first-hand the benefits of animals in hospitals. She asked me if I thought those benefits would translate to the reading environment, and – voila! It seemed like an obvious no-brainer of an idea once it was spoken!,” told Kathy Klotz, Executive Director, Intermountain Therapy Animals. “We started a four-week pilot programme at the Salt Lake City main library in Utah in November 2009 and it was so wildly successful. It has continued at the library and several Salt Lake branches ever since,” she added. R.E.A.D. generally focuses on children aged five to eight, to help establish a love of reading and books in that crucial, formative period when they must LEARN TO READ so they can READ TO LEARN for the rest of their lives. Children who are not able to read at proper level when they turn nine almost never catch up, and for the rest of their lives they are behind in education, earnings, socio-economic status, and general success in their lives. “We think it’s so important to help turn today’s children into excited, avid readers at those early ages. In the US, almost 68 percent of children are significantly behind, not reading adequately at age of nine,” told Kathy as a matter of fact. “We started our elementary school version of the programme in January of 2000. In November of 2009 we celebrated the 10th anniversary of the programme and enjoyed receiving a resolution from the United States Senate in Washington, declaring November 14 as National Reading Education Assistance Dogs Day. The programme has spread throughout the world, including the entire United States, four provinces in Canada, around the UK, and even Spain, Italy and elsewhere. We are now heading for the 12th anniversary of the programme (in November 2011), and the positive results and reactions continue to pour in,” she added proudly. The animals are non-judgmental, non-critical and great listeners. They never pressure a child to perform. They get kids away from the frightening pressure of their peers. A R.E.A.D. animal is considered a primary or intrinsic motivator. In other words, they make the actual experience of reading feel good, and be rewarding, so they can’t wait to come back and feel so good again. It’s different from a secondary motivator, like getting an unrelated reward (like a coupon for a free pizza) for reading a certain number of books or whatever. 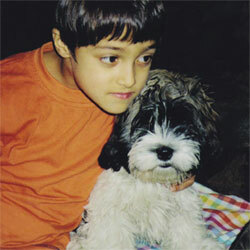 “Our overall purpose/mission is to enhance quality of life through the power of the human-animal bond. We focus on bringing animals into healthcare and educational facilities, like hospitals, senior care centers, rehab facilities, prisons and residential care settings, and then (with R.E.A.D.) schools and libraries. We seldom visit individually in private homes, and we do not maintain a facility where clients come to us. At this point, we have more than 300 active teams, visiting more than 100 facilities in four states (Utah, Nevada, Montana and Idaho),” concluded Kathy proudly. (Kathy Klotz is Executive Director of Intermountain Therapy Animals and R.E.A.D., Utah). http://www.dogsandpupsmagazine.com/wp-content/uploads/2011/09/feature011.jpg 134 250 Dogs and pups Magazine http://www.dogsandpupsmagazine.com/wp-content/uploads/2017/05/1254nal.jpg Dogs and pups Magazine2011-09-13 05:29:082014-02-07 18:04:01Pooches: your kid’s best tutor..